Along the way 25-Avgoustou downhill from the center down to the sea, the imposing profile of the Venetian Fortress, built in 1500, overlooking the harbor. The massive outer walls give an idea of what this fortress was impregnable. Today we possonovisitare large and dark interior rooms, fully restored, where you can still find the old and heavy cannon balls and the steep slope leading to the top floor. 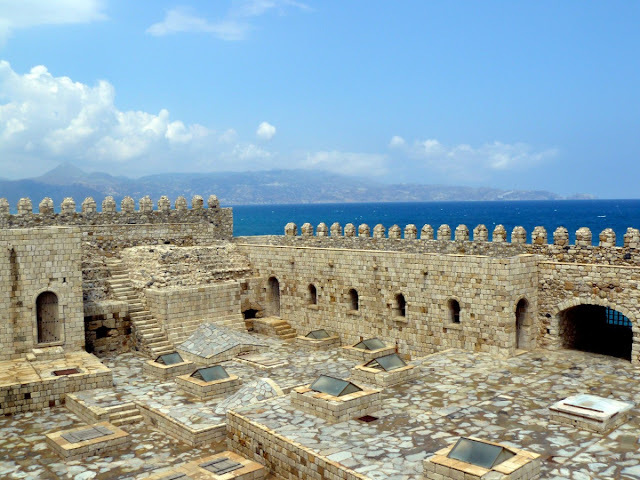 Climbing the walls, enjoying beautiful views of the harbor and the city, with its ancient walls surrounding the historic center and a general overview of the magnitude of the fortress. 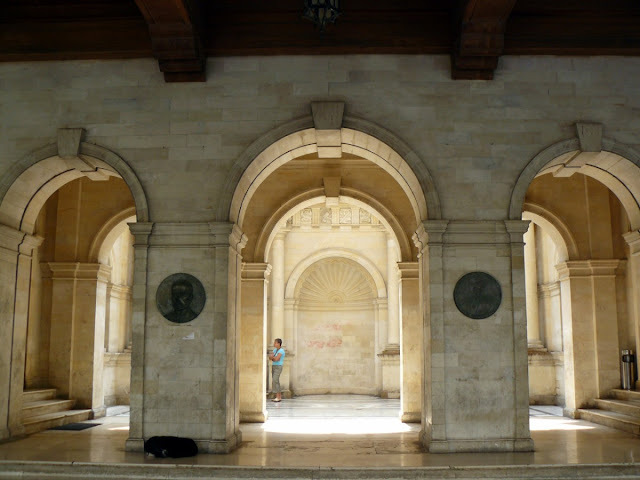 In modern Heraklion , one of the buildings that best represents the past of the Venetian rule consists of elegant Venetian Loggia , which is still occupied by the Town Hall . The building is located on the bustling street 25-Avgoustou and is characterized by the style and the portico. The arched entrance leads into an open courtyard, with glass windows and imposing columns. 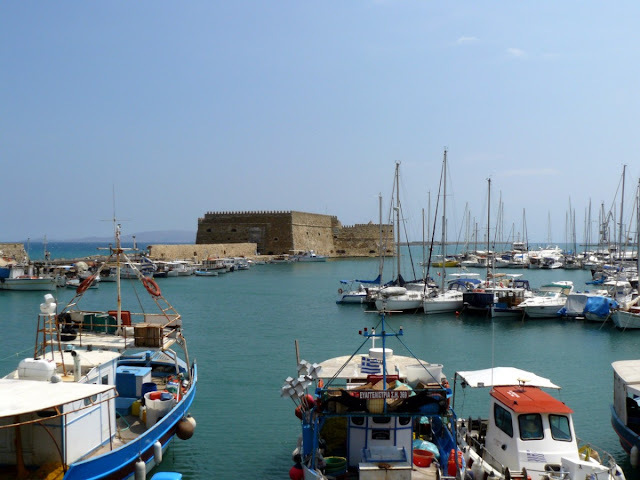 The square's most vibrant and popular Heraklion is undoubtedly Platia Venizelou, meeting point of the city's nightlife and tourist hub of departure for visiting the capital. At the center of the square is located the beautiful Morosini Fountain, built during the Venetian period, with elegant decorations, among which the four lions whose mouths gushing water. 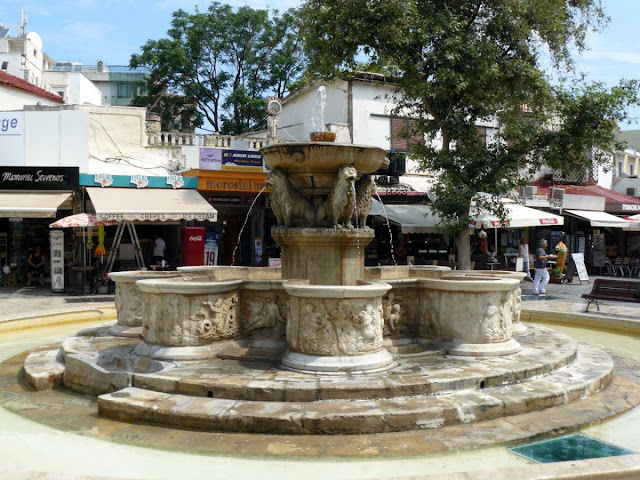 The pedestrian street Dedhalou connects the square to the rest of the city, a short walk from the elegant shops and nice taverns.